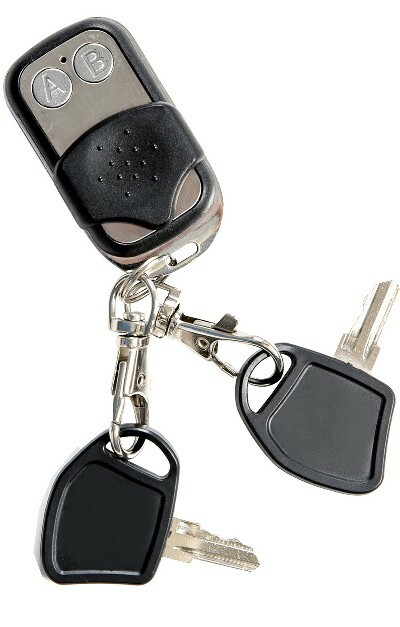 Fully electronic folding and unfolding in 15 seconds or less with a wireless key fob. 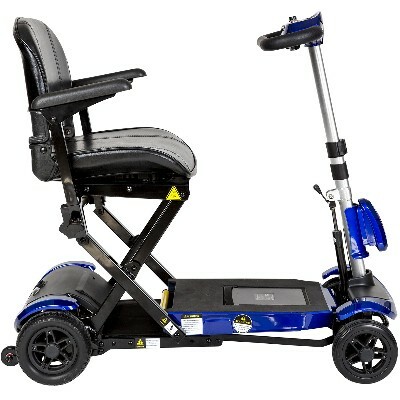 Aluminum alloy frame is lightweight for superior portability. 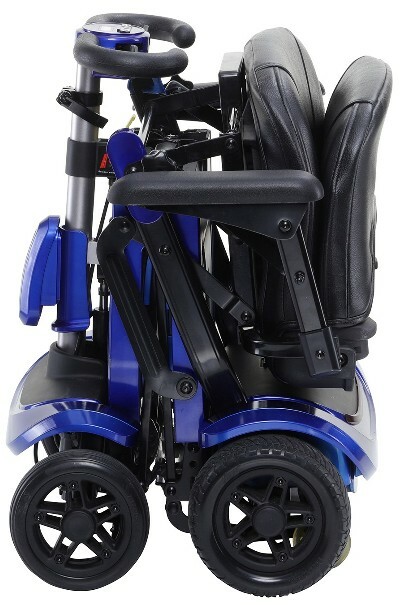 Auto-folding seat with padded, adjustable armrests. Easy-to-adjust tiller places the scooter's controls in the ideal position. Secondary manual-release levers and toggle switch for folding and unfolding. 2 ignition keys and 1 key fob included. 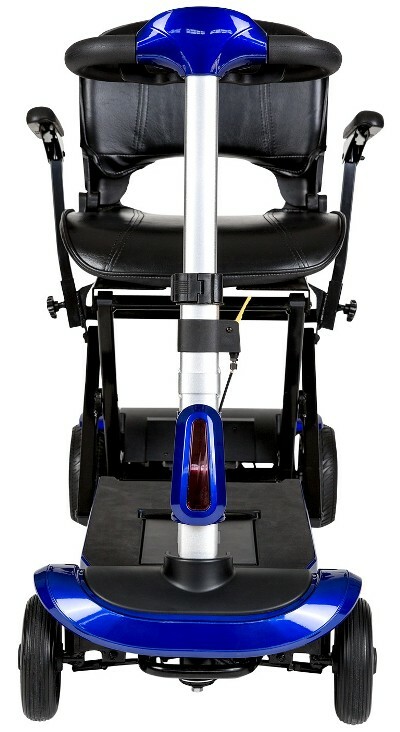 The Zoome Flex Automatic Folding Scooter is a fully electric folding scooter that allows the user to completely fold or unfold the Zoome with the push of a button. 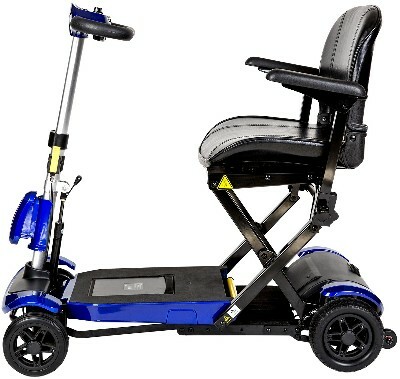 This easy to use, ultra portable electric scooter offers the ultimate in convenience. 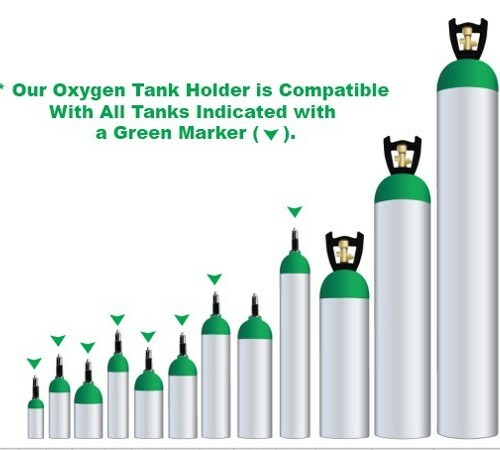 Offering Remote Control operation as well as manual if required. 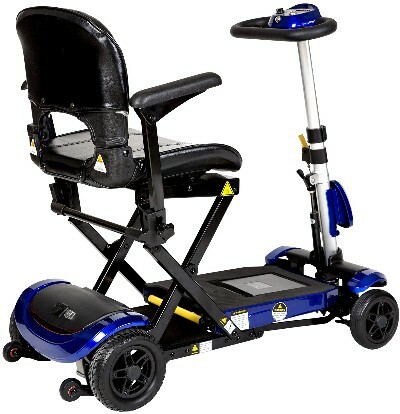 The Transformer has a 300lb weight capacity and comes standard with a lightweight Lithium battery (13.5 Miles on a single charge). 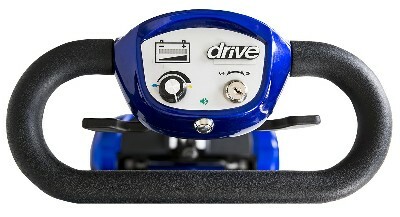 The Drive Zoome Flex Automatic Folding Scooter is the ultimate portable mobility scooter allowing a user to fold and unfold their scooter without any effort. Simply by pushing a button on the wireless remote a user can fold or unfold the Zoome Flex Auto Fold. 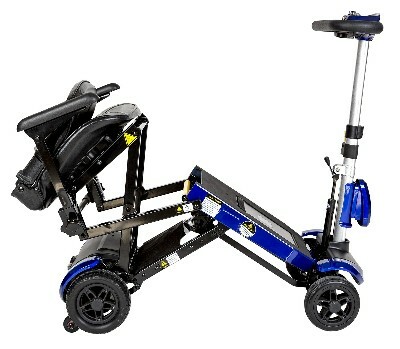 The Zoome Flex Auto Fold is a four wheel portable scooter that provides excellent stability even when on rough terrain or uneven surfaces. 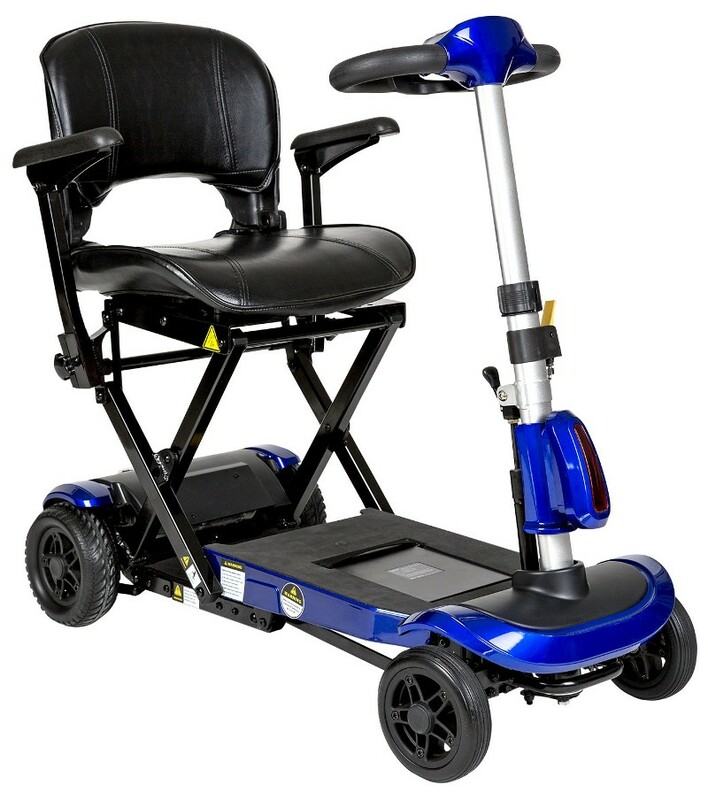 Looking for the ultimate portable folding mobility scooter. 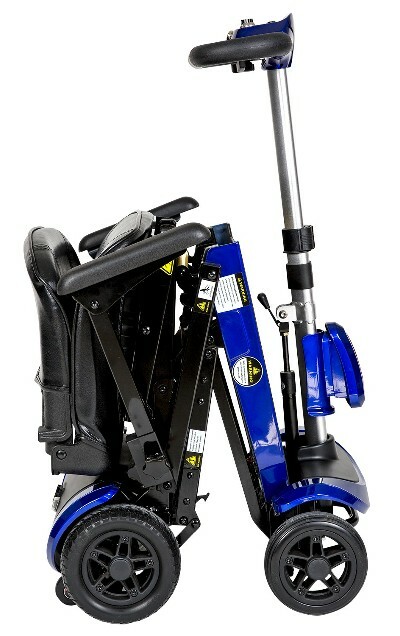 The Zoome Flex Auto Fold is arguably the ultimate portable folding mobility scooter and recommended by many airlines and cruse lines throughout the world. A keyed ignition and wireless key fob for automating folding and unfolding of the Zoome Flex. A Delta Tiller and the ability to operate with left or right hand. 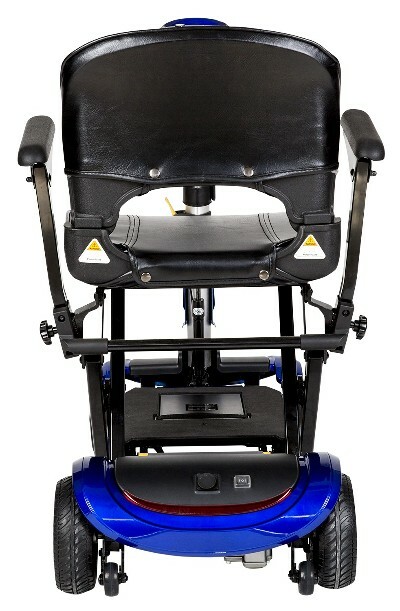 The four point seating systems adds even further stability then a scooter using a center seat post giving the user the greatest level of stability available.. The Zoome Flex Automatic Folding Scooter fully folds into a small compact shape in under sixty seconds. The Zoome Flex folds to a size of 17 inches long 17 inches wide and 23.5 inches high allowing it to fit in the trunk of most any Car, Van or SUV. Click Here To Order This Item.